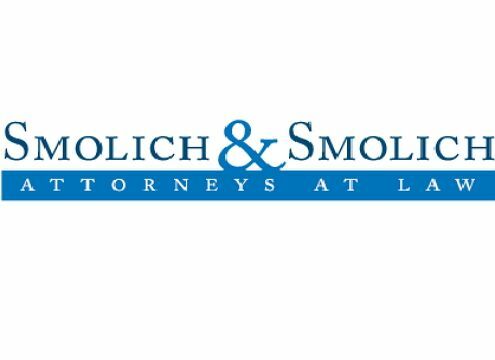 Smolich & Smolich - A Law Firm for Hardworking People Serving Northern California for More Than 40 Years. Our Goal: To Secure the Best Possible Result for You. At the law offices of Smolich & Smolich, our lawyers do not handle the typical personal injury, workers' compensation or Social Security Disability case. That's because there's no such thing as a typical case. Every case is unique. Every person we represent is one of a kind, affected by an injury or illness in a different way. When you choose us to handle your case, you will see that we truly care about you and your family. We will take the time to learn about how your injury or illness has affected your life. We will listen to you. After we thoroughly assess your needs, we will work hard to help you get the compensation or benefits necessary to move forward with your life. We never forget that we are representing you, and not simply handling a case. That has been the foundation of our law firm since 1969. Our goal is the same whether you come to us with a personal injury, workers' compensation or Social Security Disability case: to secure the best possible result for you. We want to get you all of the financial and medical benefits you are entitled to. The fact that we handle all three of these practice areas means we are able to identify opportunities that might otherwise go unnoticed. For example, a workers' compensation claim may be accompanied by a personal injury claim. Both may lead the way to a Social Security Disability case. Our law firm is unique in which we take a team approach to achieving our goal. Our attorneys — including Certified Specialists in workers' compensation — will work together to help you. Whether your case seems straightforward or is riddled with complexities, we will provide it with the personal attention it deserves. JAMES M. SMOLICH: Mr. Smolich earned his Bachelor of Arts degree from Santa Clara University in 1982. He then obtained his Juris Doctorate degree from the University of the Pacific, McGeorge School of Law in 1985. He became a member of the State Bar of California in 1985 where he is a certified specialist in the area of workers’ compensation. Mr. Smolich represents injured and disabled individuals in matters involving Social Security Disability, Workers’ Compensation and Personal Injury claims. When you choose the law offices of Smolich & Smolich to handle your case, you will work with a team of lawyers who have decades of experience. That team includes Certified Specialists in workers' compensation and lawyers who have built impressive records of success helping injured and disabled people throughout Northern California receive the compensation they deserve.